Witness Report: Black Eyed Adults Killed my Boyfriend by Drowning Him in the River…..
Bigfoot is a Ghost: Interdimensional Sasquatch, The Green Flash, and Why We’ll Never Find a Body….. The story of the last ‘witch’ burned alive in Ireland….. These Stories Of ‘Rebirth’ of Common People Will Force You To Believe In The Concept Of Reincarnation….. Archaeologists Finding More Women Buried At Stonehenge Than Men…..
Merry Saturnalia – The Two Faces of Christmas…..
… Then Know Ye the Armageddon is at Hand…..
A mountain that has intrigued me every time I’ve driven past it, and not just because it looks like a pyramid. It has an immensely powerful and mystical air to it. On Sunday I had my map with me. It’s called Foel Drygarn. Frightening first-hand accounts of the Black Eyed Children have been flooding the internet for the last few years, terrifying readers with tales of strange kids showing up on doorsteps in the middle of the night, causing strange illnesses, and even resulting in the death of anyone foolish enough to let them in their homes. Now a relatively new type of encounter has started to crop up: Black Eyed Adults. 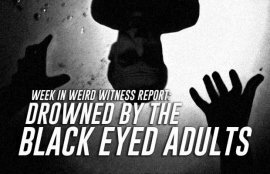 Our latest witness report comes from a woman in the United Kingdom, named Esme, who says that she’s met the Black Eyed Adults.. and they killed her boyfriend. For researchers defending the existence of Bigfoot, a huge creature that’s hiding right in our own backyards, the lack of hard evidence is a big problem. Sure, we’ve got plenty of plaster casts, too many blurry photos and shaky videos to count, and we’ve even got loads of frightening audio recordings, but despite these and hundreds – if not thousands – of reported Sasquatch sightings each and every year, we still can’t find a body. 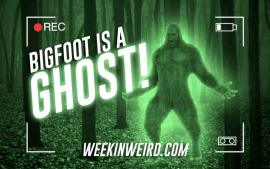 Well, there is an answer to the biggest problem of Bigfoot, and it’s one that’s troubling for the Sasquatch believers who consist mainly of rugged outdoorsman and analytical scientists: Bigfoot is a ghost. 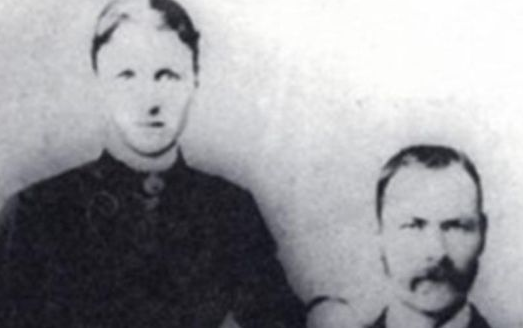 In 1895, Bridget Cleary was set alight by her husband because he believed she was a fairy. When Johanna Burke went to pay her cousin Bridget Cleary a visit, she found the 26-year-old being held down and force-fed a concoction of herbs and milk. The men restraining her were three of Johanna’s brothers, an elderly neighbour named John Dunne and Bridget’s own husband, Michael. There are many beliefs in Hinduism that science does not believe in. One such belief is rebirth or reincarnation; and for western audience, it is an incomprehensible thought and a superstition. Today, we tell you 5 incredible stories of rebirth in common man that are every bit true. 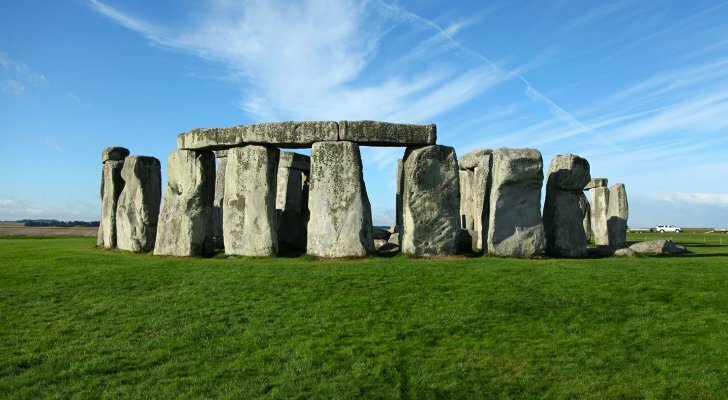 The Stonehenge site has perplexed and intrigued archaeologists, poets, historians, educators, and religious leaders for decades, as they attempt to uncover the history of the land around Britain’s famous ancient monument in its entirety. To date, we know almost nothing about who built the site and why, which makes it one of the most mysterious places in the world. The set of stones on the empty Salisbury plain have been lying out in concentric rings and horseshoe shapes for 4,000 years, making it one of the oldest and best preserved ancient stone structures on Earth. Though nothing is certain, many archaeologists believe the ring of stones may have functioned in part as a cemetery for notable people. While it has been known for around 100 years that there were human remains under Stonehenge, it wasn’t until 2013 that researchers discovered the remains of dozens of individuals buried under and surrounding the stone ring. Extraordinary political events now taking place are directly related to profound astronomical changes, elevating human consciousness and our planetary atmosphere through intensifying waves of infrasound resonance. The presently unfolding ‘PizzaGate’ scandal has exposed degenerate Satanic practices among top politicians and their associates, who openly acclaim their depraved acts on social media. I speak from my own perspective of course, but isn’t Christmas a bore these days? Spending time with family and loved ones is wonderful for most, but sanctioning it as an official holiday has become tedious, draining and for many that have ‘woken up’ to the ‘reality of ‘reality’, just another focus for an ‘energy theft’ that has no bearing on the real plight of humanity today. 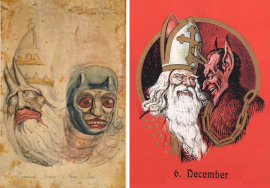 Now before anyone says ‘Ba humbug’ (which is a word incidentally that means to act in a ‘deceptive’ or ‘dishonest’ way), I will say that there is a meaningful connection to the ‘introspection’ at this ‘time of year’. The winter period brings ‘clarity of focus’ for those that can look within. Being creative is important too as winter kicks in, but the modern day version of what was ancient Saturnalia is nothing more than a ‘massive energy grab’ (our human energy) just as it always was. What’s that old saying, ‘when in Rome, do as the Romans do? We do and Saturnalia is now officially here once again. This entry was posted in Abuse, Ancient, Ceremony, Howlin' at the moon, Mind control, Mysterious, Mystical, Occult, Reincarnation and tagged armageddon, bigfoot, black-eyed children, black-eyed-adults, christmas, Foel Drygarn, ireland, pizzagate, reincarnation, sasquatch, saturnalia, stonehenge, witch burning. Bookmark the permalink.